When it comes to gaming on the iPhone and iPad, there's no lack of cool accessories available. Be it cases, dongles, or props, there are plenty of gadgets to take your experience to the next level. It's impossible to list every single gaming accessory for the iPad and iPhone, so we've decided to narrow the list down to five top picks, each of which will provide you with a completely unique gaming experience. If you're a fan of the old-school 8-bit gaming generation that pro­duced classics like Sonic the Hedgehog, Super Mario Bros, and Castlevania, but have diffi­culty playing them on an iPhone because your thumbs cover up most of the display or the on­screen buttons don't offer the same level of sensitivity of a "real" controller, you may enjoy the 8-Bitty. 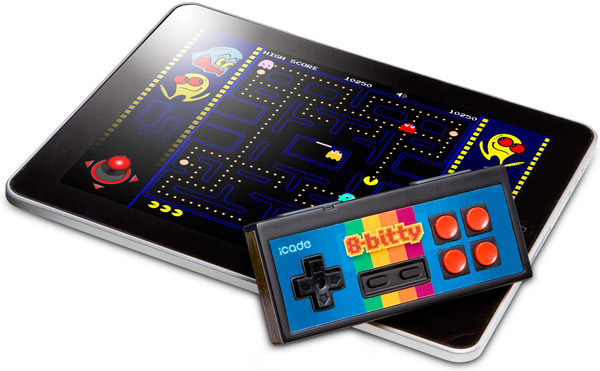 Created byThinkGeek, makers of the iCade, the 8-Bitty is a wireless tactile controller for your iPad and iPhone. It features a D-Pad, four face buttons, and start and select buttons. The 8-Bitty already supports hundreds of games on the App Store, and developers can create games with 8-Bitty support, free of charge, so the list of games should only grow. If carrying around a controller in your pocket isn't your style, but you still want that physical sen­sation when playing games on your iPhone or iPad, then Think-Geek's JOYSTICK-IT may be the solution. It safely adheres to your device's display via suction, and al­lows you to play thousands of games, from old arcade titles to first-person shooters. When you're finished, simply pull up, and the JOYSTICK-IT pops right off. This handy accessory works with any device that features a capacitive touch screen and is small enough to carry in your pocket. If you're a fan of first-person shooter games, you may really dig the AppBlaster by Spin Mas­ter. Simply lock your i0050hone or iPod touch in place on the top of the gun, download a few of the supported games, and start shoot­ing. The AppBlaster utilizes not only the iPhone's accelerometer, but also its gyroscope, allowing you to physically control the game's camera, turning left, right, up, and down. 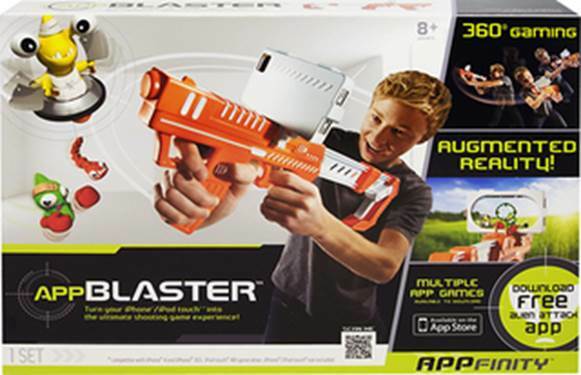 The only downside to the Ap­pBlaster is that it doesn't work with every game in the App Store. 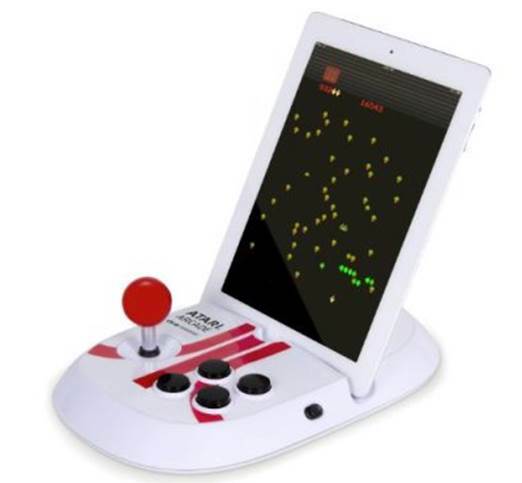 Much like the iCade by Think-Geek, the Atari Arcade allows users to dock their iPads (any generation) and play a massive collection of classic Atari games (like Asteroids, Centipede, and Missile Command) by simply downloading the Atari's Greatest Hits app (free, app2.me/4844). The only downside to this acces­sory is that it really only works with Atari's app, so unless you're a die-hard nostalgic gamer, the $60 price tag may be a little too much. One of the coolest gaming accessories out there is the AR. Drone 2.0 by Parrot. This Quadricopter takes flight and is controlled entirely by your iOS device. 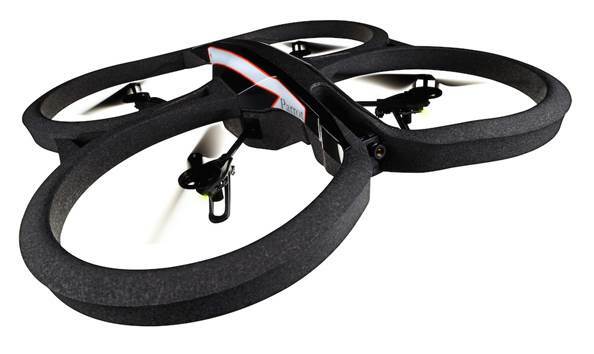 The Drone is well built and features incredibly tight controls for accurate flying. It also records 720p HD footage with a wide-angle lens while in flight, and you can then share your video with the FreeFlight app (free, app2. me/5218). The hull of the device can even be changed with the flip of a button for indoor/outdoor use, and it can do awesome flips that'll impress your friends. The price tag is a little steep, as this is no child's toy, but it certainly promises a lot of fun for any game-and-gadget-loving adult.